This bracelet is ready for the red carpet! Crafted in 18kt white gold, it features black and white diamonds. 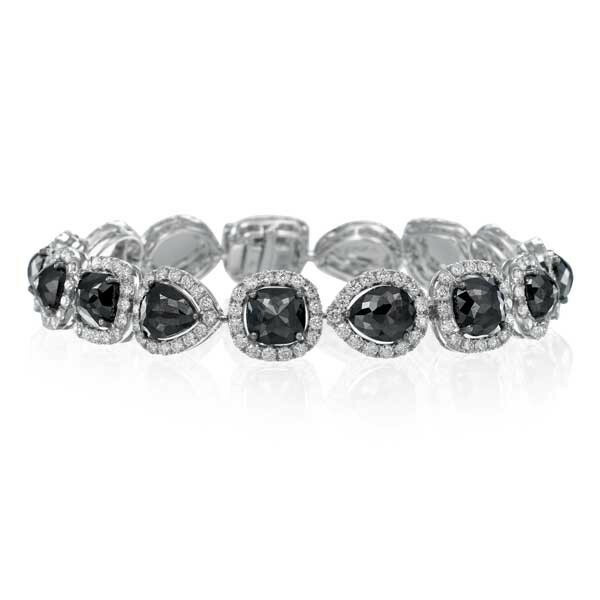 Alternating cushion- and pear-shaped black diamonds, surrounded by a white diamond halo, link together to encircle your wrist. This bracelet is a "special occasion" piece for that special someone.